10. Not doing your homework. Too many try to rush into journey mapping projects, without taking the time to dig out what’s already known in the organization today. And we don’t just mean existing customer research. 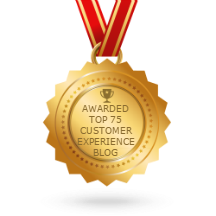 Call center logs, operational KPIs, social media complaints – all should be included in the approach. 9. Treating it as a market research project. Let’s be clear here. 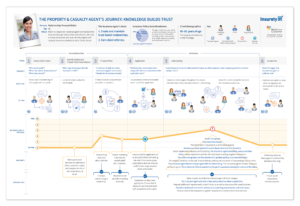 While creating journey maps uses some market research skills, there’s a clear difference between your typical market research project and best-in-class customer journey mapping. Journey mapping is more comprehensive than a typical market research project, including customer videos, action planning sessions, and graphic journey maps. Our experience is that most market research focuses on the report, while customer journey mapping focuses on the action that is a result of the mapping. 8. Boiling the ocean. In our interviews with companies who have run successful journey mapping projects, this one phrase keeps coming up over and over. Focusing on a specific scope that allows you to drive customer-focused change is critical to make a difference. 7. Forgetting executive engagement. I love the story of a bottoms-up customer engagement revolution as much as the next person. But they’re not common. Sustainable action requires sponsorship. Jumping into the program without engaging executives is a sure way to ensure your journey map sits on a shelf. 6. Leaving out the nay-sayers. The surest way to get stuck driving action is to only include the true believers in the journey mapping project. It’s rare that legal and compliance are part of journey mapping efforts. As a result, they have no context, making it easy to say no to the ideas that come out of the effort. Starting with friendly faces is a really good way to get going quickly – leading to a crashing halt when those other teams have to sign off on your changes. Involve them up front to ensure engagement when it comes time to do something. 5. No defined business problem. Don’t take on a project until you can define a business problem – including KPIs – that you want to attack. We’ll often work with companies that haven’t yet reached this level of detail, and will sometimes spend months defining the right business problem, journey and customer to map. Too often companies get so excited to do journey mapping that they don’t take the time to identify what they want to be different afterward. 4. Not including customers. It’s called customer journey mapping for a reason. Do we really have to discuss this? Apparently so, because we continually run across these maps that were done by talking to internal employees only. 3. Using a small team. “Too many cooks spoil the broth.” That’s probably true if you’re making chili. But you need a broad team to ensure success. Also see #6. 2. No governance. You don’t need governance to do journey mapping – as long as you don’t want to do anything with the results. But it’s hard to engage the organization in change without it. Executive governance ensures that changes are made – and sustained – coming out of journey mapping. And the number one reason customer journey mapping fails? 1. It’s treated as a project. Projects have defined beginnings and endings – programs don’t. Effective journey mapping is the beginning of a continuous program to put your customers at the center of how you operate. When journey mapping is a project, it leads to some quick wins – but long-term benefits are lost. 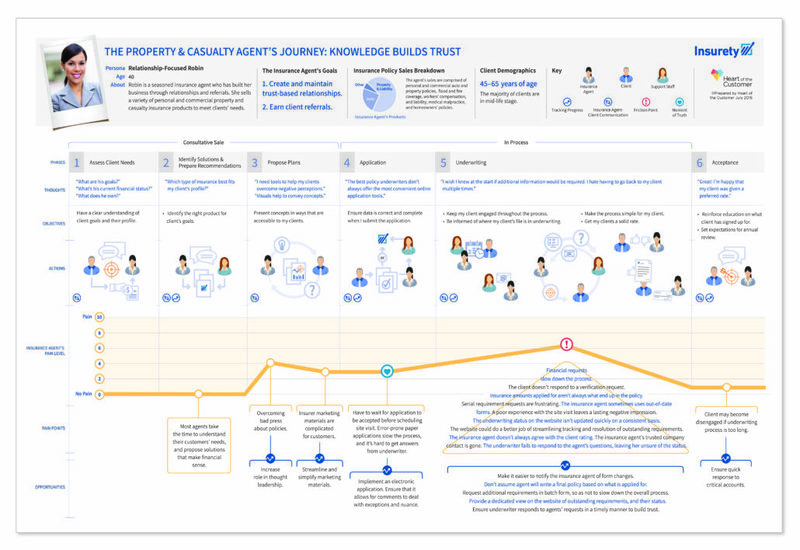 Science shows why your customer journey maps need to be visual What is the point of a journey map?